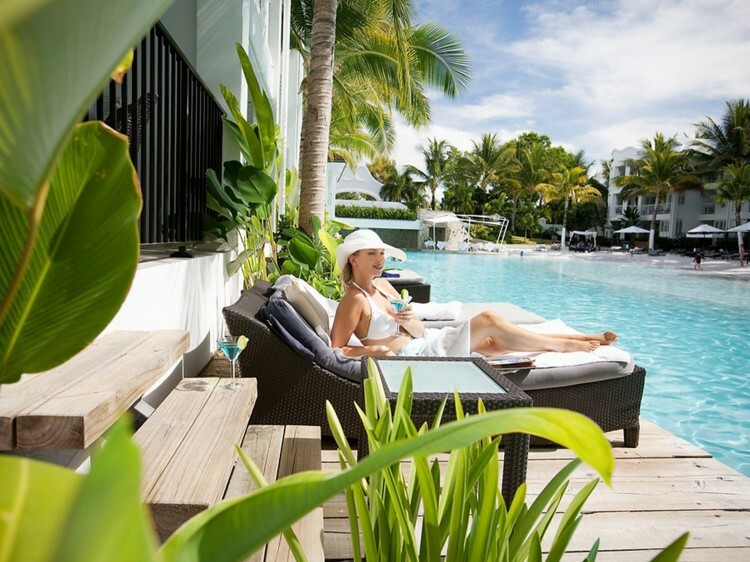 Set amongst calming water features and lush gardens filled with tropical flowers and palms, the resort features beautifully appointed spa suites and one, two and three bedroom suites, some complete with private swim-up pool decks creating a relaxed and inviting atmosphere. Peppers Beach Club offers a serene lagoon pool with sundeck and spa, fitness centre, concierge and tour desk making access to a range of exciting reef and rainforest experiences easy. If pampering is what you seek, a visit to the Exclusive Spa is a must or hire a bike and make your way to Four Mile Beach. Sublime Bar & Grill - exudes a relaxed yet chic atmosphere with a beach style feel. Offering a premium restaurant experience with a focus on contemporary cuisine, Executive Chef Karl Wulf has specially crafted a menu to reflect the seasons and to ensure guests experience only the freshest local produce from the Port Douglas region. For breakfast, choose from the continental buffet or an hot a la carte option while lunch is served either poolside on the beach, on the cafe terrace or in the restaurant. Dinner is served nightly and a gourmet barbecue is served every Sunday. Open daily for breakfast 7:00am to 10:00am, lunch 12:00pm to 6:00pm and dinner 6:00pm to 8:30pm. Sublime's fully licensed bar is open daily from 10.00am until late. Try one of the many delightful beverages or simply relax by the beach pool and have your beverage delivered to your sun lounge. Exclusive Spas fuse together ancient therapies from the Never Never with the tropical rainforests and reef culture of the far north. Immerse your senses in the pure vibrancy of amazing treatments and therapies using the uniquely Australian Spa care range LI'TYA. 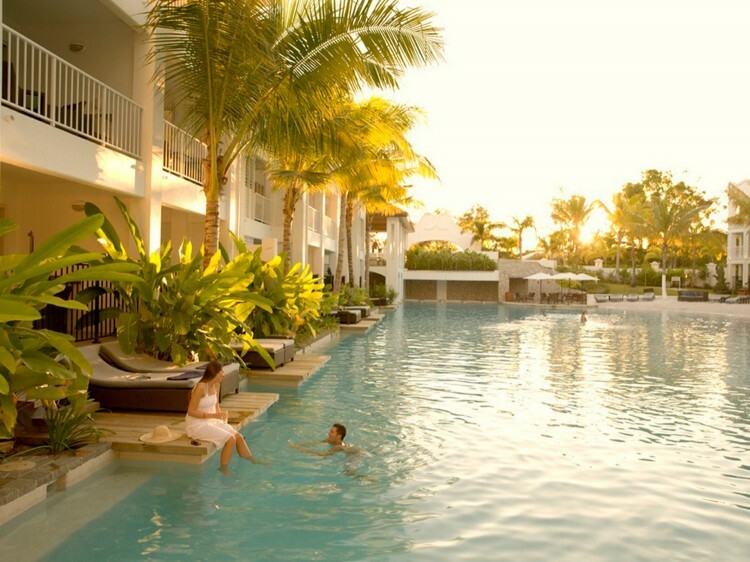 Exclusive Spas is one destination you do not want to miss on your Port Douglas getaway. Feature a king size bed or two single beds, a spa on the balcony and most offer stunning lagoon views. Spacious for a couple or small family these suites are equipped with a comfortable king size bed or two single beds, laundry facilities, kitchen and a lounge area. Most feature stunning lagoon views from your balcony with your own private barbeque. Consist of interconnecting Spa Suite and 1 Bedroom Suite. Located on level 2 or 3 of the resort. Features a king size bed or twin single bed configuration and a balcony with a two person spa bath. All of these rooms are on the ground floor and have direct access into the pool area which features the lagoon pool. Ground floor suites with king size bed or twin single bed configuration . Access into the pool area which features the lagoon pool. All contain a barbeque on the terrace, laundry facilities, separate lounge area and kitchen. These rooms do not have spa baths in them. Features stunning lagoon views with private swim up pontoons. From this you can roll straight into the 50m lagoon pool. These suites do not have spa baths in them. Feature 2 king size beds or 1 king and 2 single beds. They have one interconnecting bathroom with shower only. They have a generous size balcony with a barbecue and outdoor setting which overlook the park. Ground floor interconnecting suite, dual keyed into a 1 Bedroom Deluxe Suite and a Spa Deluxe Suite. 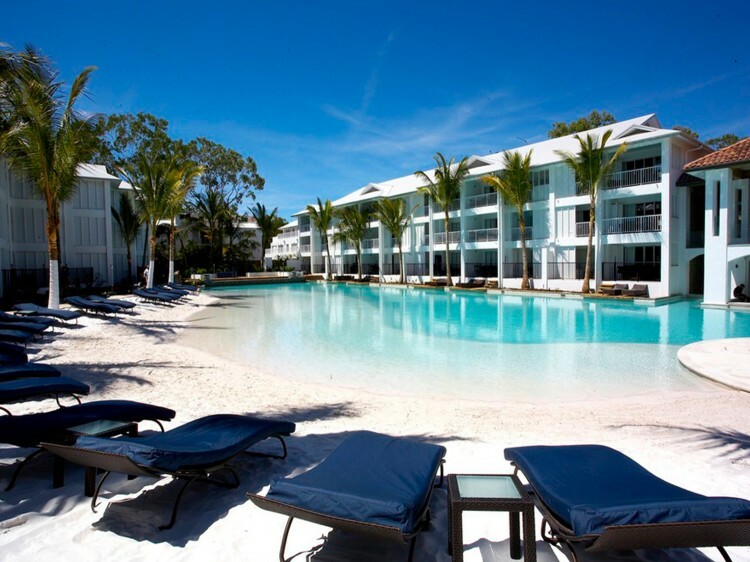 They feature 2 king size beds or 1 king and 2 single beds and direct access onto the white, sandy beach of the stunning lagoon pool. Suite features own private plunge pool in back yard . Available with 2 king beds or 1 king bed and 2 single beds. Suites are interconnecting rooms, dual keyed into a 1 Bedroom Lagoon Deluxe Suite and a Spa Suite. Consists of interconnecting rooms, dual keyed into a 2 Bedroom Suite and a Spa Suite. They feature 3 king size beds or 2 king and 2 single beds. They are non pool facing with lift access. Interconnecting rooms, dual keyed into a 2 Bedroom Plunge Pool Suite and a Spa Suite. They feature 3 king size beds or 2 king and 2 single beds. They are located on the ground floor with their own private plunge pool in the back yard.